Joi Owens is an attorney and Oxfam America's Senior Policy Advisor and program lead for Mississippi and Louisiana. Previously, Joi served as the managing attorney and lobbyist for Disability Rights Mississippi where she served as an advocate and attorney for people living in institutions with a mental illness. Joi serves as an adjunct professor at Mississippi College School of Law where she has taught Mental Health law. 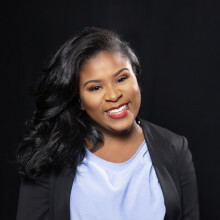 Joi has worked for the American Civil Liberties Union of Mississippi and served as a Judicial Intern for the United States Court of Appeals for the Fifth Circuit. Joi serves on the Women in the Profession Committee of the Mississippi Bar and the board of directors for the Mississippi Women's Lawyers Association. Joi received a Bachelors of Art in Speech Communication from Jackson State University where she has been recognized as a notable alum. Joi received her law degree from Mississippi College School of Law. She was a 2016 National Juvenile Justice Fellow and 2017 Mississippi Bar leadership class graduate. Also, Joi serves as an associated with the Charles Clark Inn of Court. Joi serves as the disability liaison on the Mississippi Bar Child and Welfare committee. Recently, Joi received recognition as one of the top 24 women leaders in Mississippi by Women for progress Inc. Joi was featured in PORTICO Jackson's 9th annual issue for upcoming attorney's around the state of Mississippi. Joi is a member of Delta Sigma Theta Sorority, Inc. and the Junior League of Jackson. Joi is a proud mom to her son, Legend!